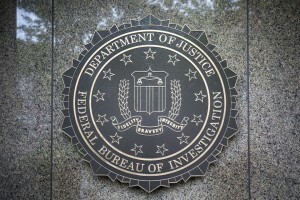 The FBI had a spy (informant) inside the Trump campaign in 2016. Was Obama behind it? Was it for political spying or to set up the campaign for future charges? Was it to help against Russian interference? See Also unmasking. Do Republicans believe a 'spy' was embedded in Trump's campaign? CNN anchor Alisyn Camerota was slammed by conservative Twitter users Saturday when she tried to draw parallels between the idea of FBI informants in the brutal gang MS-13 and President Donald Trump’s claim that his campaign was spied on. “You believe that the FBI planted a spy in the Trump campaign. 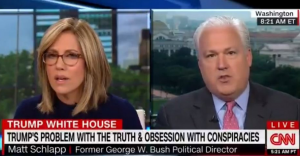 Are you using the term informant and spy interchangeably?” Camerota, a former Fox News co-host, asked Matt Schlapp, formerly President George W. Bush's political director. “When the FBI uses a source in MS-13 to find out what they’re doing is that a spy or a source, an informant to figure out what MS-13 is doing?” she continued. “Look if you’re going to equate, I would call it spying,” Shlapp fired back. “And here’s the big difference, Donald Trump is not MS-13, Alisyn.” Twitter users were outraged by what they viewed as an effort to conflate the two. A secret source insinuated himself with Trump campaign officials. Ho hum. Well, what do you know. The Federal Bureau of Investigation really did task an “informant” to insinuate himself with Trump campaign advisers in 2016. Our Kimberley Strassel reported this two weeks ago without disclosing a name. We now have all but official confirmation thanks to “current and former government officials” who contributed to apologias last week in the New York Times and Washington Post. And please don’t call the informant a “spy.” A headline on one of the Times’ stories says the “F.B.I. Used Informant to Investigate Russia Ties to Campaign, Not to Spy, as Trump Claims.” We’ll let readers parse that casuistic distinction, which is part of a campaign by the FBI and Justice Department to justify their refusal to turn over to the House Intelligence Committee documents related to the informant.